Chief Electoral Officer Marc Mayrand says he fears some Canadians could be denied their right to vote if the government goes ahead with its proposed changes to the Canada Elections Act. The head of Elections Canada says the only requirements to cast a ballot are to be Canadian and aged 18 or older, but that some of the new measures proposed by the Conservatives could cut off some people. "My biggest concern is that, at the end of the day, Canadians will be denied the right to vote. Even though they are citizens, qualified and perfectly legitimate," Mayrand told reporters after speaking to a House of Commons committee. Asked about concerns raised by Conservative MPs about fraudulent voting, Mayrand said Elections Canada has repeatedly looked at reports of problems. 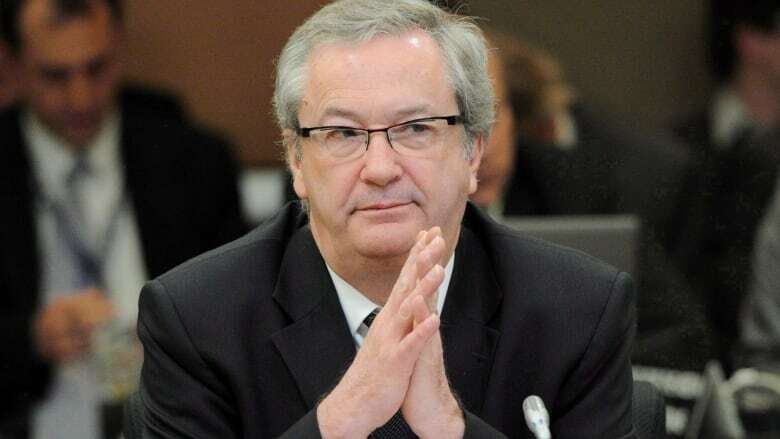 Pierre Poilievre, minister of state for democratic reform, has said he wants to prevent fraud made possible by allowing people to use voter information cards and vouching to prove who they are. Mayrand says there's no evidence of systemic or organized abuse of the voting process. Elections Canada estimates 120,000 people had somebody vouch for them — as to their name and address — in 2011 so that they could cast a ballot. Mayrand gave examples like an adult son who vouches for an elderly parent living with him, or a nurse at a long-term care residence. In those cases, the voters may not have identification with their address on it. NDP MPs have also pointed out that students living with roommates may fall into the same category, with no driver's licence, lease or hydro bill with their name on it. "We have to be careful because in the next election, if those rules go through, you will see in your riding how many people will be sent away," Mayrand said to Conservative MP Tom Lukiwski. Mayrand warned MPs Thursday that Canada's fairness and "level playing field" may be compromised under changes proposed in Bill C-23. "In Canada, electoral fairness has traditionally been understood to mean maintaining a level playing field among parties and candidates by the imposition of strict spending limits," Mayrand said. But exceptions for fundraising services "may well compromise" that level playing field, he said. "It takes little imagination to understand that other partisan communication can be dressed up as fundraisers," he said. Mayrand also pointed to a loophole in how leadership candidates' expenses are defined that could mean most of those are exempted from spending caps. He also raised a concern he discussed repeatedly before the government drafted the bill: political parties need not provide any invoices or receipts to back up their spending claims. Mayrand said the federal level is the only jurisdiction in Canada that doesn't require parties to prove their claims. Mayrand also said repeatedly that his concern is that some Canadians will lose their right to cast a ballot if the proposed changes become law. He pointed to examples of seniors in long-term care who may not have a driver's licence or a hydro bill that shows their address, and require someone to vouch for who they are and where they live. "It's not hard" to think of examples of people who don't have a lease or other document that proves where they live, he said. Mayrand has already been critical of the changes in the proposed fair elections act, which include measures to limit what he can say publicly. Under a deal struck with the NDP earlier this week, Mayrand appeared before a Commons committee Thursday to discuss the bill. The New Democrats and Conservatives had worked out a deal Tuesday evening for Mayrand to get 90 minutes to discuss the proposed changes. The deal ended a seven-hour filibuster by New Democrat MP David Christopherson. The meeting was scheduled from 11 a.m. to 1 p.m. ET, but Government House Leader Peter Van Loan announced Thursday morning that MPs would vote on cutting off debate on an unrelated bill at 11:08 a.m.
"We cut an honourable deal," Christopherson thundered in the House, calling it an "undemocratic process." New Democrat House leader Nathan Cullen told Parliament that a "good-faith" agreement with Conservatives is something that can't be trusted. In an interview last month, Mayrand said his reading of the bill is that, if it becomes law, he would "no longer [be able to] speak about democracy in this country." "I'm not aware of any electoral bodies around the world who cannot talk about democracy," Mayrand told Evan Solomon, host of CBC Radio's The House. The bill would also end vouching as a means to prove voters' identities when they don't have acceptable identification, loosen spending rules and create a registry of companies that make automated robocalls.